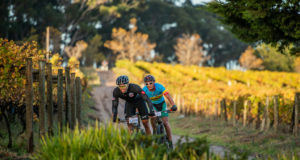 Cape Town – Former K2 world champion Jasper Mocké is eyeing the windy weather forecast for the first day of the SA Marathon Championships presented by Prescient, hoping that his experience on the exposed Zandvlei course will offset the jetlag he is battling after jetting home from Hawaii on Wednesday for the event. Mocké, who won the 2014 ICF K2 world title with Euro Steel team mate Hank McGregor, and finished runner up at last year’s decider in Hungary, will be looking to book a place for the duo for this year’s world championships in Germany in September, but he knows that competition for the places will be tougher than ever this year. Mocké will contest the K1 race on Saturday afternoon before joining forces with McGregor in defence of the national K2 crown they won at Camps Drift last year, but conditions for the two races looks set to be vastly different. “Conditions look horrendous for K1 race on Saturday and beautiful for the K2 race on Sunday,” said Mocké. However he points out that he won a key local marathon race at the same Marina da Gama layout in gale force winds a few weeks back, and the knowledge and experience gleaned from that tough outing will stand him in good stead. “I raced the ADT Marina Marathon a couple weeks ago in similar wind and it was seriously tough! The easterly wind blows diagonally across the course so there is never a stage where you are paddling straight into or with the wind. It’s always side on. “I won’t be surprised if the race breaks up into small groups rather than big bunches,” he added. 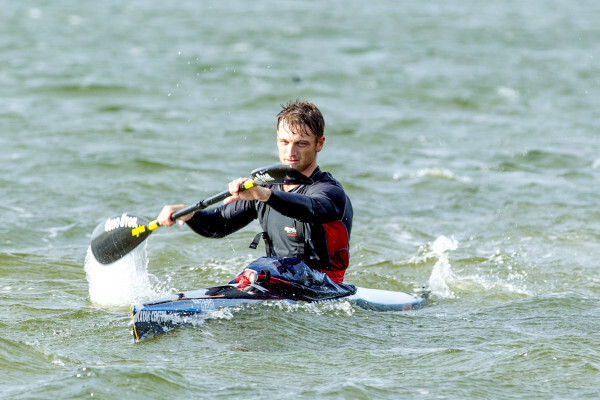 Mocké predicted that the two men who ran away with the SA Champs last year, Hank McGregor and Andy Birkett, would be the men to beat at Zandvlei on Saturday afternoon, and added that he would be saving energy for his K2 challenge on Sunday. 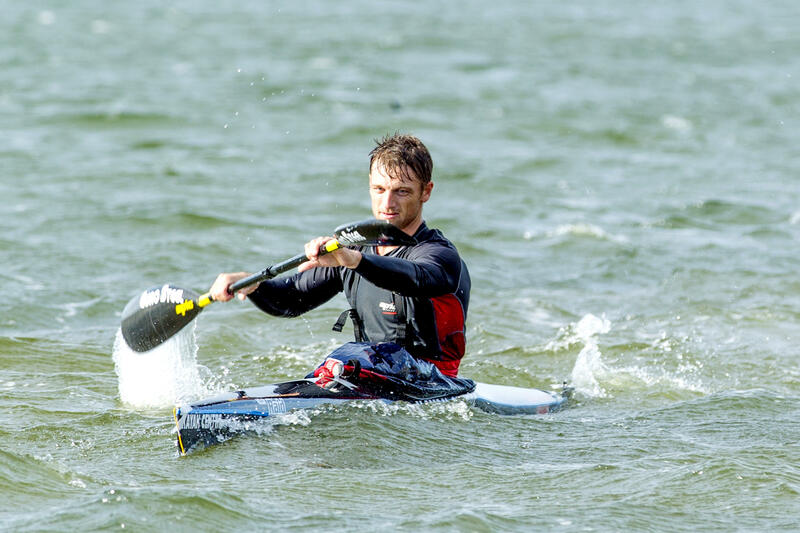 “This year my focus is more on surfski and the K2 so sticking with Hank (McGregor) and Andy (Birkett) in the K1 will be a bonus,” said Mocké. 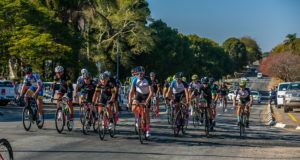 He said that local knowledge would play little part in the tight racing on the Zandvlei course on the weekend, and that classic marathon racing tactics would once again determine the make-up of the podiums. “There aren’t too many advantages on a marathon course. Considering all the other types of water we race on marathons are basic and if anything the only advantage a local may have is knowing what to expect. The senior men like Hank and Andy are so calculated and professional they won’t miss a trick,” said the Euro Steel/Mocké Paddling pro. His biggest challenge however will be shaking off the jetlag after arriving home from his surfski trip to Hawaii a handful of days before the event. The arduous travel schedule to and from Hawaii is legendary for knocking back even the toughest athletes. “Recovery from Hawaii trip is still very much in progress,” said Mocké “I haven’t been home for twenty four hours yet. I stayed an extra week after the Molokai Challenge to take part in the Maui Jim Ocean Festival. “I am feeling a little under the weather as we speak, hopefully there will be a bit more in the tank come Saturday morning,” he added.